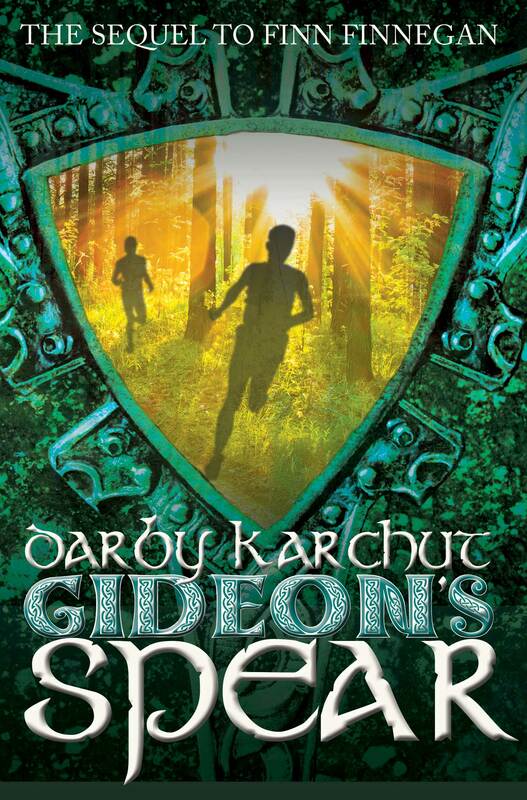 Gideon’s Spear, coming in March 2014. Click here for an advanced reader copy! For Finn MacCullen, it’s time to Irish up. “Yeah, you got that right!” Finn yelled back. 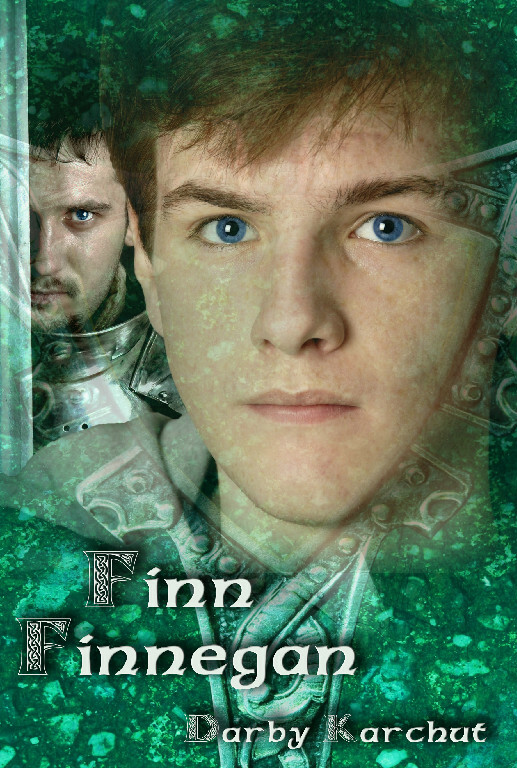 When a power-crazed sorceress and the neighborhood pack of beast-like goblins team up and threaten both his master and his friends, thirteen-year-old Finn (not Finnegan) MacCullen does the only thing an apprentice monster hunter can do: he takes the fight to the enemy. And woe to the foe he meets along the way. Find out more about the author by visiting her author page. Pre-order the book on Amazon, Barnes and Noble or BAM! 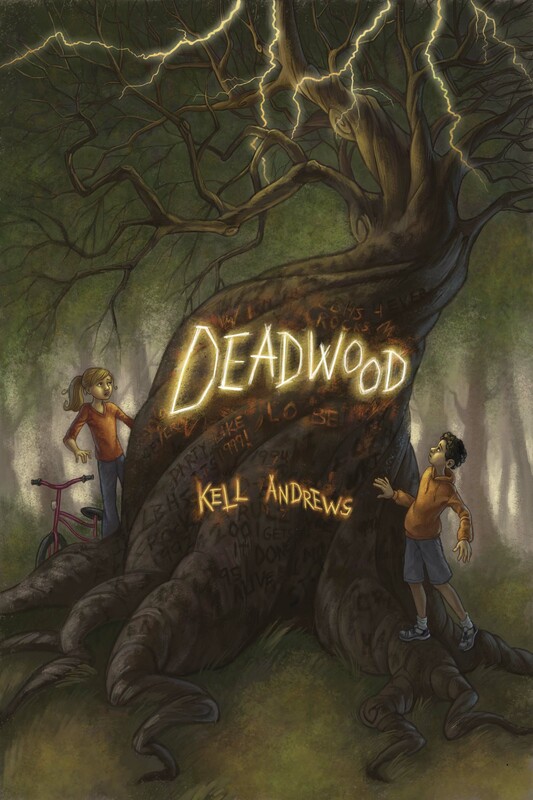 Deadwood, coming in July 2014. Click here for an advanced reader copy! Sometimes a lucky ritual becomes a curse. Seventh-grader Martin Cruz hates his rotten new town, Lower Brynwood, but with his mom fighting a war in Afghanistan, he has no other choice but to live with his crazy aunt. Then he gets a message from a tree telling him it’s cursed—and so is he. It’s not just any tree either, it’s the Spirit Tree, an ancient beech the football team carves for good luck before the season opener. But every year they lose. Now the Spirit Tree is dying, and the other trees in the park are toppling around it like dominoes. The town is plagued with unexplainable accidents and people begin to fade, drained of life. Martin must team up with a know-it-all soccer star, Hannah Vaughan, if he has any chance of breaking the curse. If they fail to save the Spirit Tree, it could mean the destruction of Lower Brynwood and a permanent case of bad luck. Get to know the author by visiting her author page. As both a junior high school teacher and a young adult/middle grade author, I have had the amazing good fortune of spotting dozens of students reading my books during the school day. These are grand moments. Shiny moments. But, even better are the moments when a student recognizes a historical reference I have imbedded in one of my books, be it a reference to the American Civil Rights moments or the Battle of Britain during World War II, and relates it to what they have learned or are learning in social studies class. They begin to see the connectedness of the world. Yet, too often, students think learning is an isolated event, especially when it involves writing and math. Fractions are only wrestled with in math class. Writing a paragraph with a topic sentence, supporting details, and a concluding sentence is only done in English. They seem genuinely surprised when they are asked to use math to determine the land area of a country in social studies, or to write up a lab report in science using proper paragraph format with correct grammar and punctuation and spelling. Four years ago, our school, Cheyenne Mountain Junior High in Colorado Springs, Colorado, decided to change all that—we decided to focus on writing across the curriculum. In every subject and, at least, once a week. After several faculty discussions, some of which were rather heated about the success of this endeavor, we decided to at least try. We began by having our English department set up a basic scoring rubric that could be modified for any subject, and would be used by both student and teacher to assess a piece of writing. Since short, constructive responses (a paragraph-length answer) are required to answer many of the questions on Colorado’s state mandated tests, we decided to focus on having our students practice writing strong, well detailed paragraphs. Next, the English department took the lead by teaching every student how to write an SCR (also known as a short, constructed response) using a set format: topic sentence, three or more supporting details, and a concluding sentence. Very structured. Very concrete. Over the four years, we have met with more success than failure, simply because of the buy-in by the faculty. From the P.E. teachers to the art teachers to the math teachers, each department strove (and struggled) to find ways to incorporate writing in their lessons. Not to make it an additional activity, but to integrate it naturally. For example, the art department had students write a critique of their latest creation, while the science department took the lab reports the students were already writing, and tweaked the reports to fit the school-wide SCR rubric/format. Did every department consistently do it every week? No, but we probably tripled the amount of writing each student did in an average week of school. And, as we all know, the more a student practices a skill, the better they become at it. Over the four years, we have seen steady growth in our writing scores, especially in our special education students, for whom a concrete system and continuous practice is central to their success. This year, we have targeted non-fiction reading as our next school-wide endeavor. We are applying the same plan of attack as we did with writing. Stayed tuned to the Spencer Hill Middle Grade educator’s newsletter for an article on reading across the curriculum. Darby Karchut currently teaches social studies at Cheyenne Mountain Junior High in Colorado Springs, Colorado. Twice Teacher-of-the-Year, Darby has also been recognized for her contribution to children’s literature by the District Board of Education. Her latest book, Gideon’s Spear, was released from Spencer Hill Press February 4th. Visit her at her website.